‘What do you think of Donald Trump?’ was the question Benjamin, my 10-year-old grandson, asked me while I was driving him home from Homeschool Co-op he and his siblings attend. It seems that Benjamin and his classmates were discussing Trump at school. Before answering this question, let me give you some answers others have given in regard to Donald Trump. Suppose you have been on vacation for two weeks. You come home to find your basement is infested with raccoons: hundreds of rabid, messy, mean tempered raccoons. Of course, you want them gone immediately, so you hire a pro. You don’t care if the guy smells. You don’t care how many times he has been married. You don’t care if the guy is dirty all over. You only care that he is a pro at raccoon removal. You want your problem fixed and he is the guy. He is the best. Period! There are a number of people who see Donald Trump as a ‘raccoon remover,’ called of God to clean up a corrupt Washington, that is full of the establishment elite, and to shake up a Congress and government that is going nowhere. A number of people see Donald Trump as sexist and not worthy of their vote. Some people see Donald Trump as a fulfillment of prophecy. Other people see Donald Trump not as a Josiah, but as a catastrophe for America. There are a number of people who see Donald Trump as a modern day Cyrus, a wrecking ball, called by God to accomplish His purpose. C.Peter Wagner, well know Apostolic leader writes, ‘Although I’ve never done this before, I am ready to come clean on this year’s politics. In my entire life, I’ve never witnessed such an interesting presidential campaign. I favor Donald Trump for our next president. Yes, I’m an evangelical Christian and I was encouraged to see that in the South Carolina primary, Trump took the evangelical vote. So I’m not the only one. We are dealing with the office of the president of the USA. OK, what about the USA? I have logged 85 years as a citizen of the USA, and I have never been so discouraged about our nation. We are in dire straights. I believe that much of America’s malady has been caused over the years by the establishment politics of both parties in Washington, D.C. How do we get out of this quagmire? We elect another establishment politician who will deliver business as usual? Or by trying someone whose life has been business before politics, who finances his own campaign, and who is beholden to no one in Washington? That would be Donald Trump. Some say that Trump is not an evangelical Christian, so how could an evangelical like me vote for him? I wish he didn’t have a history of multiple marriages. I wish he knew the Bible better. I wish he would go to church more regularly. I wish he would tone down his profanity. But none of those qualities would make or break a president who could make or break our country. Many evangelicals voted for Sunday school teacher Jimmy Carter because of his spirituality only to end up with a disaster. God is not limited to using Christians to accomplish His purposes. We need only to recall Cyrus, the idolatrous king of Persia, whom God used to help get His people back to Jerusalem. Some people see Donald Trump as a calculated risk worth taking. Others see Donald Trump as being more like some of Jesus’ disciples than those we tend to esteem. Out of all of these opinions on Trump, let me ask you, ‘What to you think?’ Send me your responses. WHAT DO I THINK OF DONALD TRUMP? What do I think? Well, you will have to wait till the next Langstaff Letter to find out! 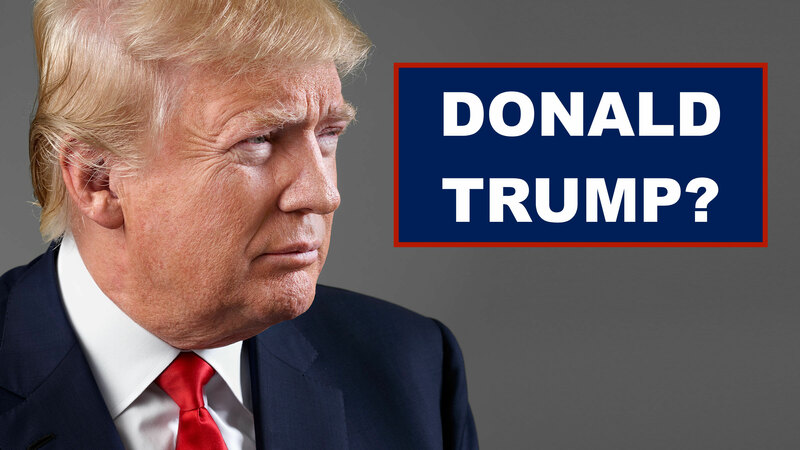 Rick Joyner Article – Is Trump the One? Next Next post: What Do I Think of Trump? Greetings Alan, I am so glad you asked. I was very excited to see so many quality people as candidates for the GOP nomination and quite a few professing believers. But after listening to Donald Trump during the debates and in the news stories, I felt that he could be like our Winston Churchill, called for such a time as this to help turn our nation around. Of course I didn’t care for the profanity or crudeness, but underlying all that , I saw a man who genuinely loved America, a true patriot who was willing to sacrifice his life to make America great again. I saw in him a strength to stand up for what he believed, to have the courage to say things that were not politically correct, but were right and not be afraid of what people thought about it. What other candidates have paid for their campaigns themselves in order to not be bought out by lobbyists? Donald Trump understands the New World Order and the desire of the elitists to control America. But he’s still willing to stand up for what is right even if it costs him his life. I really enjoy listening to him because he speaks so simply from his heart. I can honestly say I’ve never been so excited or encouraged about an election before in my life and would like to see someone leading our nation who is not a politician. I believe he has the necessary skills and dare I say gifting by God to help our nation economically, to surround himself with good people who can assist him in making the difficult decisions necessary to protect our nation . He actually reminds me of my Dad in so many ways who was also a very practical man and businessman. He taught me to always stand up for what is right no matter what it costs or how hard it is or what anyone else says. It looks like this election will be between Hillary Clinton and Donald Trump. To me it’s a simple decision for any Christian. Hillary is just not an option. I understand there could be between four and five supreme court justices appointed to the bench by the next president. They will serve much longer than the next president and either take us in a more positive morale direction or a negative ungodly direction. I believe Donald Trump will appoint conservative judges who are pro life. This might be the most important aspect of this election. Some people I have spoken to have said they are voting for Trump only because they don’t want Hillary Clinton to become president. But I am actually voting FOR Donald Trump because I believe he will do everything in his power and hopefully by God’s power to make America great again. In doing so, perhaps it will prepare America to be used by God for the final harvest of souls. Like icing on the cake, I recently read an article by James Dobson stating that Donald had just received Christ as his Savior. He made the statement that Donald Trump was a baby Christian and to be patient with him. Mr. Dobson knew who led him to the Lord but did not want to say. It’s wonderful news if it’s true. But either way, I believe he will make an excellent commander in chief. I will vote for Trump so Clinton doesn’t get into office. I don’t bare witness in my spirit that Mr Trump is either godly or a solution to problems in the heart of the nation, I strongly believe this man is neither competent or right to in the office for which he was elected, I think he has fooled many, who has lost faith in the one who is able, and he (Mr Trump) has cashed in this very real need the church and the nation has. I will not be disrespectful to the office, but I do not have a conviction in my spirit about Mr. Trump being the right person, or if he is even that he is competent to hold the office he has been voted into. I will question his belief, faith, and convictions, for neither he had them before, or walk in them, before becoming a candidate. There is a difference between tagging someone with morals, and we, a segment of the church has done. We claim in him what we expect and want out of him. Not that he is. He has become an idol made out of the spur of the moment, a moment of desperation, and real need. A creation of our desire. We had little or no choice so we went ahead and manipulated the circumstances to be favorable to our specific agenda, to compensate for what we see as a treat, what we justify as prophetic, and to favor what we think is best for America. Either way I disagree with the man, the politician, or the businessman that he is. His life tells a story we choose not to acknowledge, and we prefer to ignore.